Need some drop cloth project ideas? Drop cloths are one of the best tools in the budget decorating arsenal – lots of fabric for just a little money. Because you can get them in all kinds of sizes, they work great for everything from curtains to pillows and all sizes of project in between. 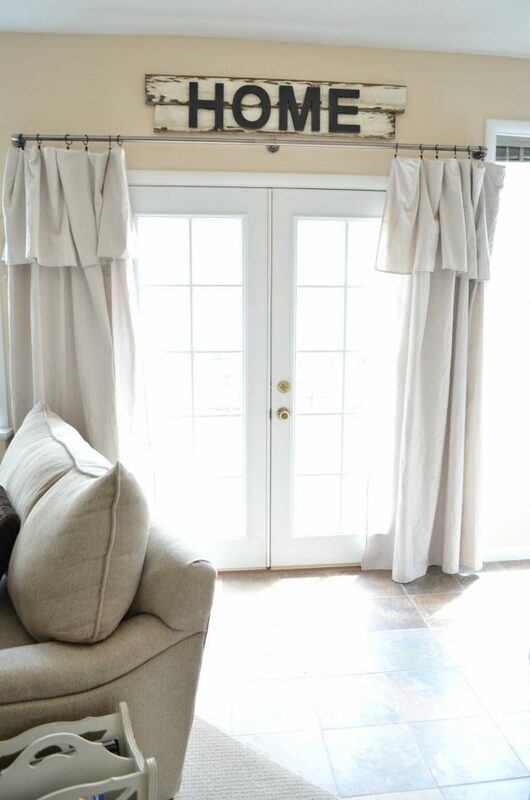 No matter if you get them at the hardware store, big box store or even online – there’s so much possibility in a drop cloth. These projects use them as a whole or down to the last drop, so you’re always able to get the most out of your decorating dollar. 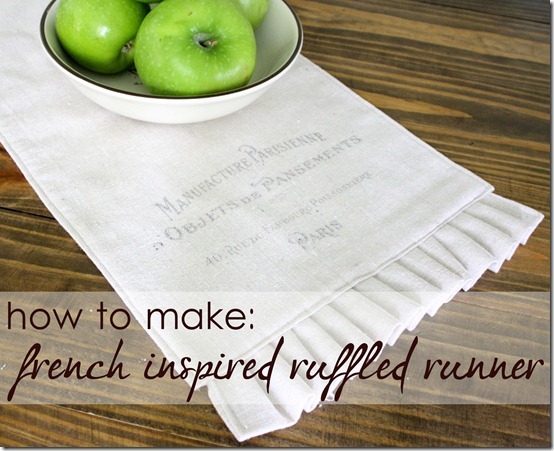 Add some print to turn a plain table runner into a french inspired one. 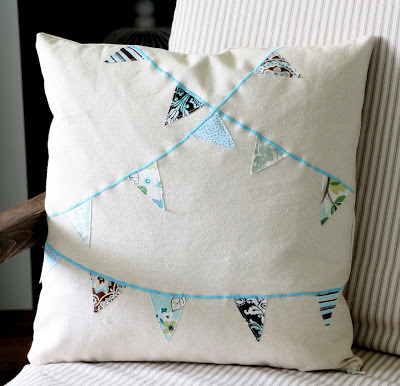 Add a few scraps & some stitching to turn a drop cloth into this pretty pillow. 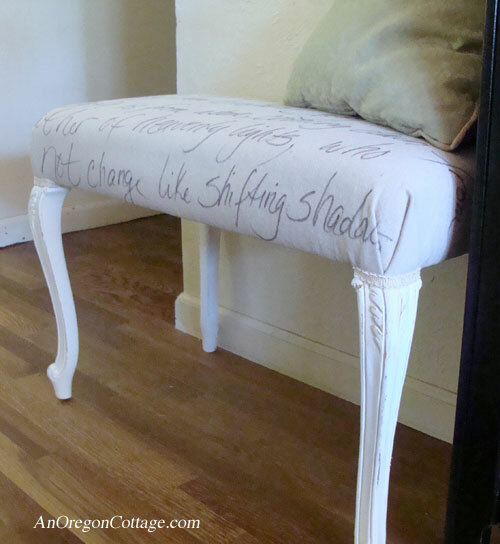 Refresh an old bench with a piece of drop cloth & a sharpie. 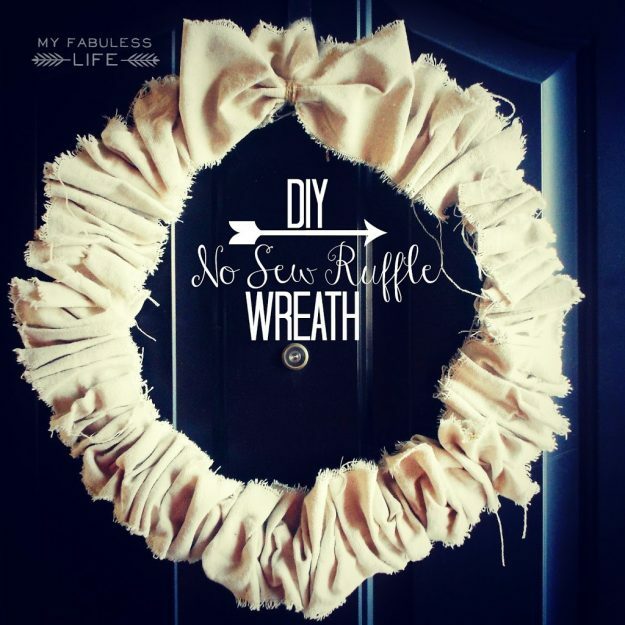 Don’t throw out those drop cloth scraps – use them to make this cute wreath. Need napkins for a big party? Drop cloths might be a great solution! Can’t sew? Not a problem! 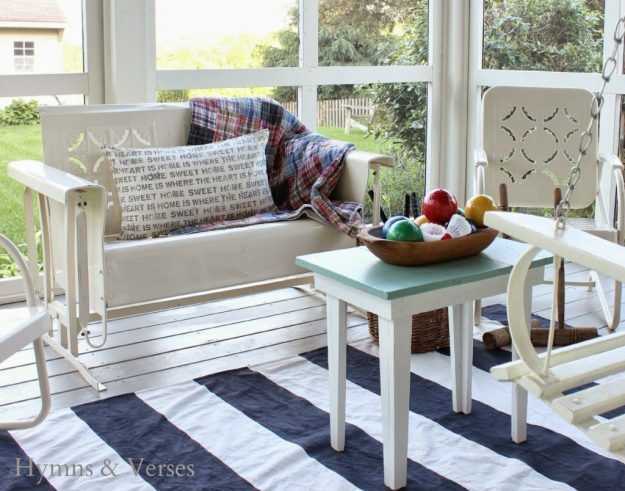 This drop cloth slipcover is a no-sew solution. Usually paint is supposed to protect against paint, but this painted drop cloth rug is beautiful. And if all else fails, make some curtains. This very well might be the most common, but it’s still one of the best drop cloth project ideas that almost anyone can do. 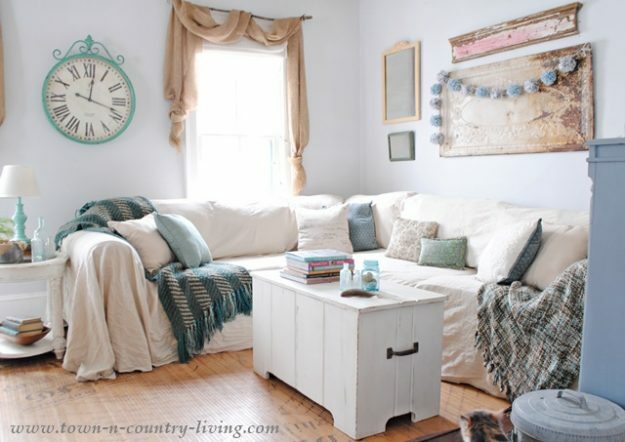 Want to see more great drop cloth project ideas? 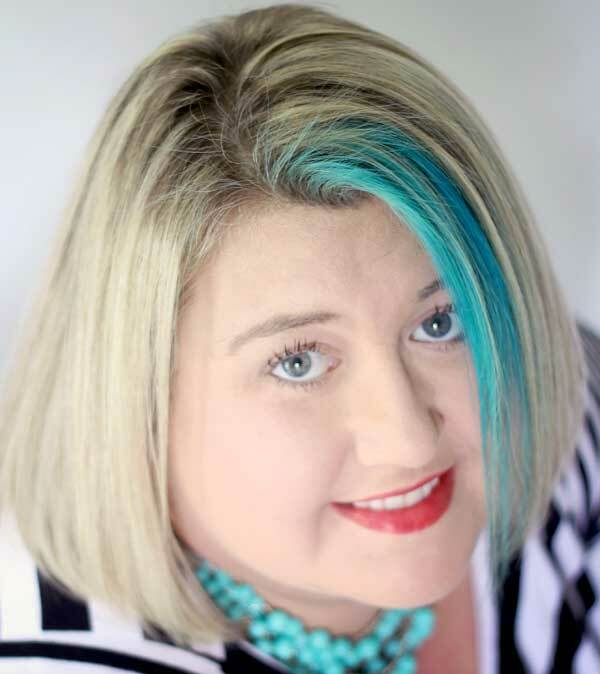 Below are some wonderful posts from my favorite bloggers! To visit the projects, just click on the photo below and you’ll go directly to the project. ATTENTION BLOGGERS – this collection is for drop cloth projects ONLY. Any other projects will be deleted. Thanks so much for understanding! Thanks to all the awesome sauce bloggers who share their projects to inspire us all! 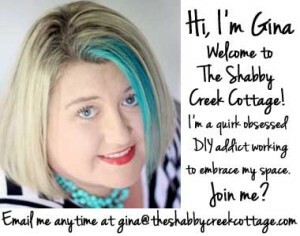 Thank so much for hosting this Gina. Give me all the drop cloths!!! Gina, It’s been awhile since I’ve joined a link party. Thank you for hosting this one. I was excited to join and now even more excited to see all the inspiring projects. Thank you, thank you, THANK YOU!!! – for sharing my striped drop cloth rug! It was one of my favorite projects to get the look for less! The drop cloth ideas shared have been amazing! Thanks for hosting this challenge and I’ll be adding mine link soon – just got back from vacay and having a hard time getting back in the groove! 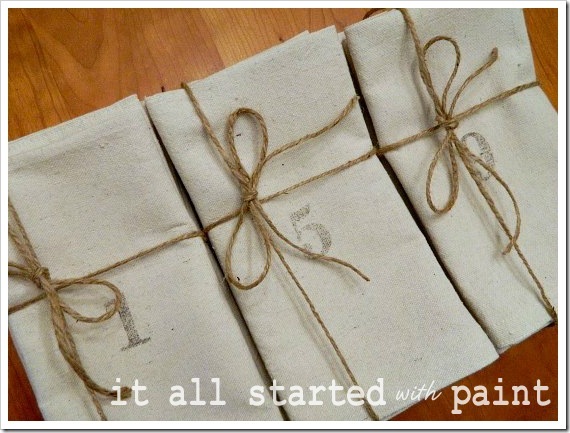 Gina, thank you so much for including my drop cloth post! 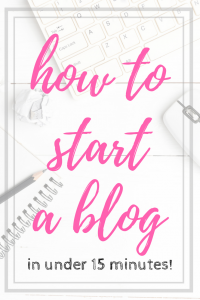 I can’t tell you how much you’ve helped me grow my (very new) blog through BOB and all your helpful tips. You are AWESOME! !